Posted by admin on Jul 5th, 2018 and filed under Last-Line. You can follow any responses to this entry through the RSS 2.0. Both comments and pings are currently closed. There is now a lull within the All Progressives Congress, APC, Imo State chapter. And it ought to be. This because, after every war, there would be quiet everywhere, even as debris litter the war fronts. At this period, each side goes home to take stock and count the number of casualties. But in the case of Imo APC, what we have now is just a cease fire, before another set of hostilities commences. APC in Imo State is passing through a phase which will either make or mar the party as the 2019 election approaches. The truth is that there would not have been anything like APC in Imo if not for Governor Rochas Okorocha. It was Okorocha who dumped All Progressive Grand Alliance, APGA, the party under whose platform he emerged the Governor of Imo State in 2011. Many had hoped he would build APGA into a solid political party in the State like in Anambra. But instead, Okorocha teamed up with other like minds to float APC in 2013 leaving Imo APGA in disarray. It was later discovered that Okorocha who had promised to run just one term in office in 2011, with his slogan “Rescue Mission,” was nursing an ambition for a second term. Therefore, sensing that such plan may not work out in APGA, which already had its “owners,” the Governor went for a fresh and newly-minted APC, whose structure he could totally control in Imo State as its founder and Chief Financier. PDP was never in Okorocha’s plan like Governor Ikedi Ohakim did in 2009 when he joined PDP after winning his Governorship election under Peoples Progressive Party PPA in 2007. Therefore, from the beginning, Okorocha wanted Imo APC to be his “Baby” where he dictates what happens in the party, from the Wards to the State levels. The plan worked perfectly well as Okorocha single-handedly picked the Imo APC Pioneer Chairman, Chief Okafor-Anyanwu, whom he also replaced on his own manipulation with a certain Dr Hilary Eke. Okorocha’s control of Imo APC continued unhindered as he envisaged until the 2015 Imo Governorship election, which ran into turbulent waters, and was later billed for a supplementary balloting. It was at this juncture that the Governor who had for long shut the doors on new comers into the party, especially Imo known political Big wigs, threw the APC door ajar. Before then Okorocha was satisfied with the limited number of prominent Imo politicians in APC, which included Senator Osita Izunaso that joined the party after his ambition to return to the Senate was dashed by PDP, who rather preferred Chief Hope Uzodinma. Okorocha ‘s absolute control of Imo APC came to the fore in 2014 which was the reason he could pocket the party’s Governorship ticket and yet attended the party’s Convention in Lagos where he contested for the Presidential ticket and after a poor outing returned to Owerri to dust up the Guber ticket without a whimper from the APC members. 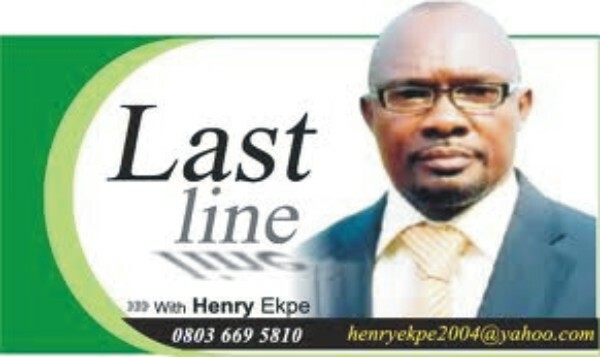 This had been the scenario in the party until the 2015 Governorship election forced Okorocha to allow the likes of Senator Ifeanyi Araraume to join APC to help him execute the supplementary election, which the sitting Governor later clinched after beating Rt Hon Emeka Ihedioha of PDP by the whiskers. In savouring the election victory, Okorocha appointed Araraume’s Son a Commissioner, which he thought would appease the Isiala Mbano born Senator and make him shift his gaze from the Imo Governorship ambition which Okorocha had reserved for his son inlaw, Uche Nwosu, abinition, without Araraume knowing that Owelle Rochas Okorocha has other ideas than allowing him succeed him. The cat was let out of the bag, when Okorocha addressed the Press in his Spibat Palace, and made what I referred to as “freudia slip” when in answering a question, he asked how it would sound that after Okigwe zone finished four years with Ikedi Ohakim, the same position goes back to Okigwe zone when Owerri has not taken her turn. When Trumpeta broke this story, Okorocha’s Press Secretary wrote a rejoinder saying his Boss never mentioned a thing like that. Then came the pronouncement by the Governor that he would not hand over power to any person above fifty years. When the story went viral, Okorocha could not deny this one. And suddenly Araraume, the Lion of Ishiebu woke up from his sleep and became alert to Okorocha’s plot to deny him the Imo Governorship in 2019, which sources said was part of the bargain reached with Araraume, when Okorocha visited him at his Onitsha road campaign office at the heat of 2015 supplementary election. Luckily for Araraume, Okorocha was treating the Imo APC Executives and followers with levity, without taking good care of the officials, right from the Wards to the State levels. As a political war horse, who spends when it is necessary, Araraume began poaching Imo APC officials. And before a few months, Araraume has cornered a lot of them, while Okorocha was busy reeling the names of Imo politicians he had retired, and naming those that will not succeed him. Having quietly taken control of Imo APC officials gradually, or at least seventy percent of them, Araraume moved to the national level where Izunaso, who had been dumped by Okorocha, easily teamed up with Araraume in Abuja and both men entered into and conquered the APC top hierarchy, while Okorocha was busy provoking the party chieftains and the National Working Committee NWC of the party by sharing the various political elective positions in the State without recourse to the party constitution, officials and other stakeholders. This usurpation of the power of the National Working Committee of APC, by carrying out mock primaries for Aspirants in Imo State enraged APC hierarchy which was even lampooned openly by Okorocha in the Press. Before you know it, Okorocha was having a running battle with the APC NWC led by out-gone John Oyegun. By this time, Araraume had even gone to pay for the office rent of APC in the Southeast zone in Enugu, when the party has a sitting Governor in Okorocha. Therefore, sensing that the continuation of Oyegun’s Executive may spell doom to his political calculations, Okorocha supported the motion among other Governors that there should be a fresh congress to give birth to new Executives of APC across the Nation from the Wards to National levels. This Okorocha’s proposal was the last straw that pitted him against the Oyegun’s Executive which reluctantly agreed to a new congresses across the States. Unfortunately for Okorocha, this fresh Congress afforded Araraume and Izunaso the opportunity to outwit Okorocha who wanted the congresses badly to install party officials that would be used to facilitate his tall dreams of producing his son in-law as the Governorship candidate of Imo APC. However, Izunaso used his powerful position as the National Organizing Secretary NOS to thwart Okorocha’s plots, as he and Araraume swept the congresses to the shock of Okorocha. Luckily for Izunaso and Araraume, Chief John Onyegun still remained the National Chairman and accepted all the results that came from Imo State until he officially vacated office weeks ago. However, the National Convention was the chance Okorocha had to have a foothold in APC or else, Araraume and Izunaso would have retired him. The election of the National Organizing Secretary became a do or die battle for both Okorocha and Araraume camps. But in the end, APC leaders looked the other way as Okorocha did whatever he could do to win the hotly contested position. In the end, happily to APC top hierarchy, Governor Okorocha’s choice, Barr Emma Ibediro won, despite the “roforofo” fight that ensued at the convention. Happily to APC hierarchy, because the party did not want to lose Okorocha entirely knowing that despite his arrogance and follies, he remains a Governor, and controls both financial and political power to help APC win in Imo in 2019. Therefore, it was better that Okorocha was not disgraced from the party, because neither Araraume nor Izunaso could bring to table what Okorocha can afford because of his position now. In that case, APC would want to maximize the contributions of Okorocha, Izunaso, Araraume and other Imo APC Chieftains to the success of the party in the 2019 polls, which is the only solution in the present circumstances. Therefore, the APC has given Okorocha a chance by leaving him the office of the National Organizing Secretary as a platform to negotiate with the Araraume/ Izunaso team represented as the Coalition or Allied Forces. The reason is that the Coalition still controls the majority of the party structure in Imo State as it produced the Ward, LGA and State officials, which is the bulk of Imo APC. It is now left for Okorocha to commence a deft move to reach out to the Coalition if ego allows that. It would be useless to rejoice over Emma Ibediro because the man cannot do any magic because of the forces marshaled against his nascent position. But if Okorocha thinks that the single office of the National Organizing Secretary can be equated with the entire party structure under the Coalition, it is a miscalculation. However, no disagreement in politics is permanent. But in the present case of Imo APC, whether anybody likes it or not, the cause of the imbroglio is the choice of Okorocha’s successor, which the Governor has sworn it must be his son in-law or nothing else. And for the Coalition, it must never be Okorocha’s son in-law or nothing goes. Therefore this is where the maturity and negotiating senses of the Imo APC chieftains are challenged to its elasticity. It is now left for Imo APC to continue its war or not, while the general elections approach. From the history of Imo Governorship since 1999, no individual has ever decided who becomes the State Governor, which is the reason Imo Governors have ever emerged against political permutations .Will history repeat itself in 2019? Now, with the APC Mega Rally which took place on Tuesday, it is clear that Governor Okorocha has much to do to reclaim the leadership of APC in Imo, talkless in the Southeast. The absence of top Southeast APC Chieftains, including serving Ministers and former Governors, coupled with a total boycott by the Allied Forces is an indication that the Imo APC battle is yet not over. However, Governor Okorocha must be humble and take the matter as a father and go back to the drawing board, with the focus of bringing everybody together or he may find himself standing alone carrying the House.